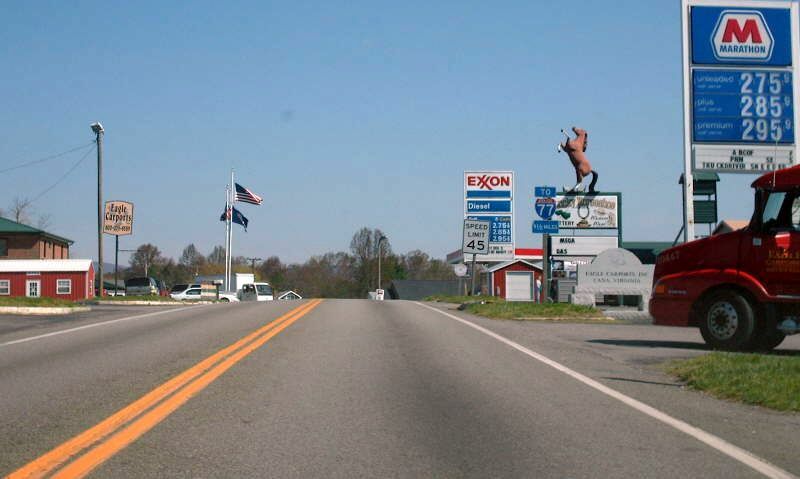 Crossing into Virginia on US 52. Photo by Mapmikey, taken April 13, 2007. 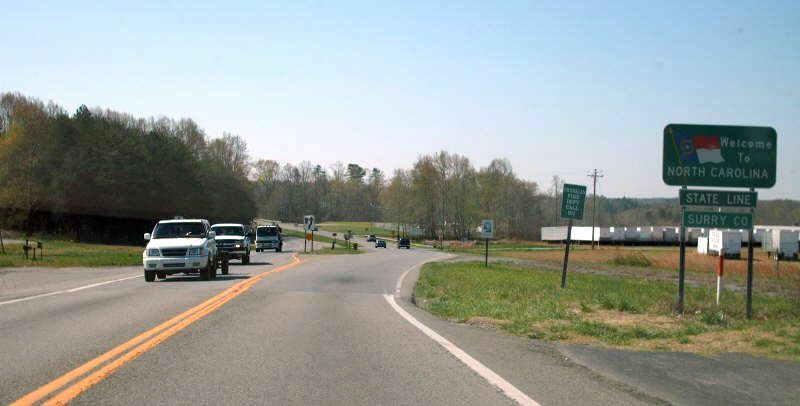 Crossing into North Carolina on US 52. You can see the old US 52 alignment to the left. Photo by Mapmikey, taken April 13, 2007. 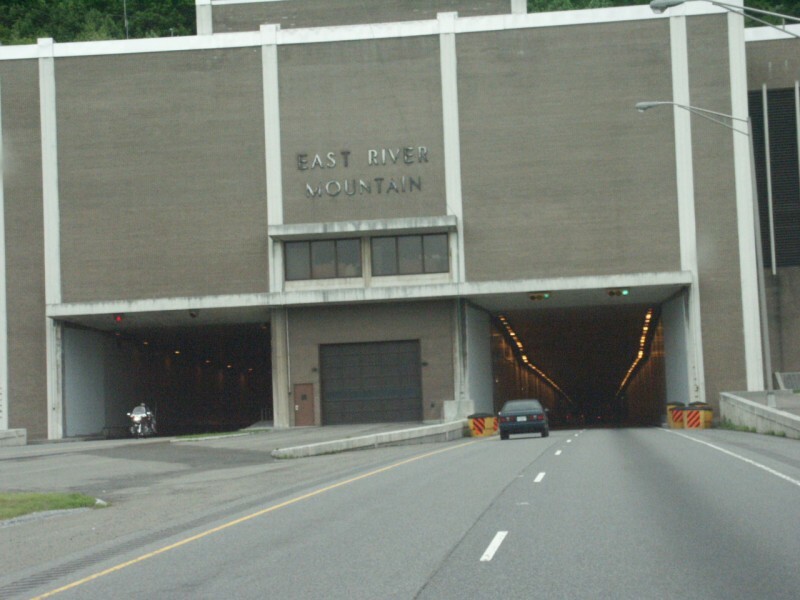 Northbound heading into the East River Mountain Tunnel. 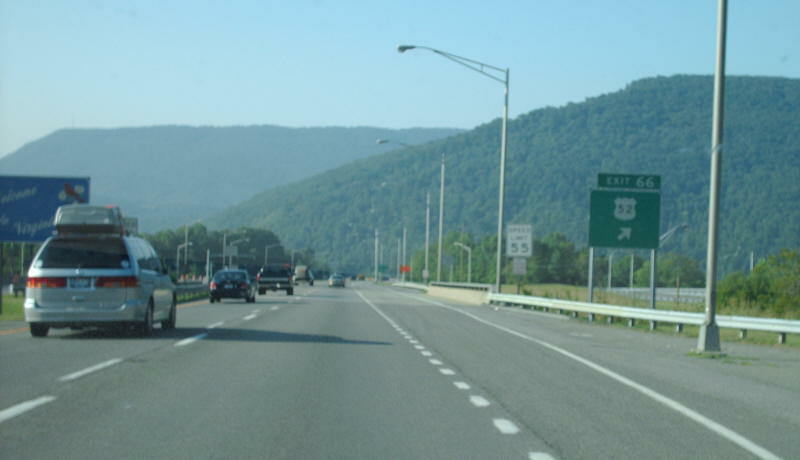 US 52 (with I-77) crosses the Virginia/West Virginia line while within the tunnel. Photo by H.B. Elkins. Souhbound exiting the tunnel. Photo by Mapmikey, taken July 21, 2007. 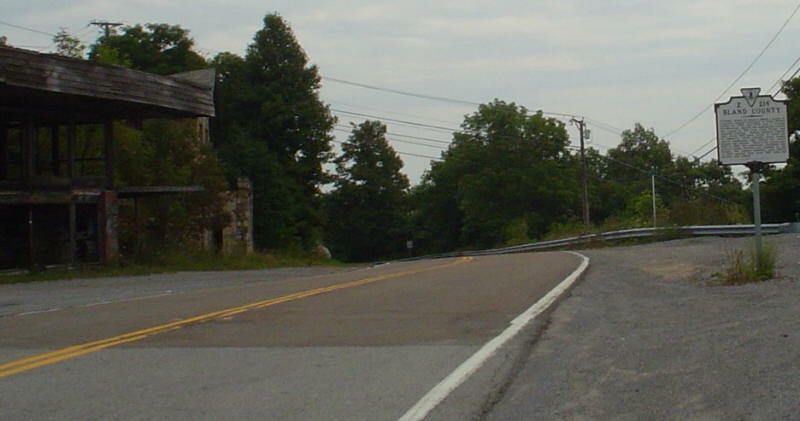 Looking southbound on VA 598 entering Virginia. 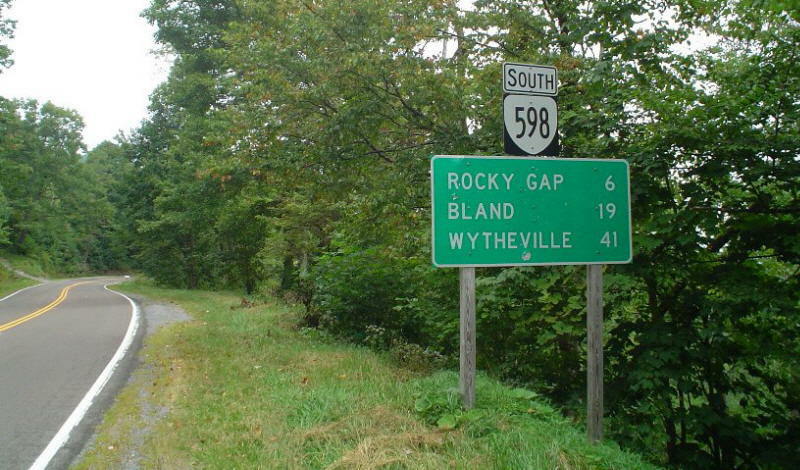 US 52 south entered Virginia here from 1935-80. Photo by Chris E, taken 9/4/04.